CHICAGO (WLS) -- In a new push to reduce concussions among student athletes, the Illinois High School Association is creating a new concussions-related advisory council. The council is part of the IHSA's "Play Smart. Play Hard." campaign, which aims to educate players, parents, coaches and schools about how to minimize the risk of head injuries and better protect the safety of students who play sports. The advisory council will review the association's current programs and make recommendations on how to make them better. 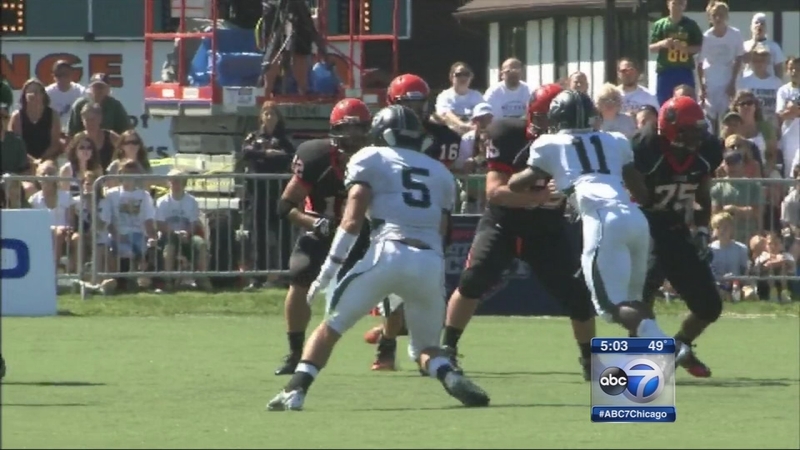 The IHSA is currently part of a class action lawsuit alleging it's not doing enough to protect against head injuries. Tregg Duerson, who played football at Loyola Academy and University of Notre Dame, will be on the council. He is the son of former Chicago Bear Dave Duerson, who suffered from Chronic Traumatic Encephalopathy (CTE). Dave Duerson committed suicide in 2011 and left notes asking that his brain be tested for a concussion-related disease. "Coming from a football family who knows first-hand both the risks and rewards of playing the sports we love, I'm committed to continuing to honor my father's legacy by working with the IHSA, student-athletes, coaches, parents and schools in Illinois to better protect all of our athletes," Tregg Duerson said. Former Chicago Bear Dave Duerson.